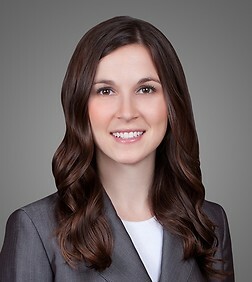 Dominique Combs is an associate in the Intellectual Property Practice Group in the firm's San Diego (Del Mar) office. Dominique is a patent attorney and focuses her practice on patent procurement, strategic patent portfolio development, and patent litigation. Dominique has experience in various aspects of litigation involving patent and contract disputes. She also has experience drafting and prosecuting patent applications in the areas of computer software, social media, social networks, video games, virtual worlds, virtual and augmented reality, financial services, blockchain technologies, mechanical devices, medical devices, aerospace, and business methods, among others. While in law school, Dominique worked as an intellectual property law clerk for a golf equipment company and an extern for the United States Patent and Trademark Office.